Fees associated with filing patent applications in the Czech Republic, as well as other patent fees, are available in the fee calculator. The term for filing a patent application in the Czech Republic claiming conventional priority is 12 months from the priority date. It is impossible to restore this term. To obtain the filing date, a Czech patent application should contain an application form including applicant's name and address and the part representing obviously the description of the invention. Patent applications should be filed in Czech. For conventional applications, it’s impossible to file the Czech patent application in any other language and to submit a translation in due course. Priority document can be submitted after filing of the application within the term stipulated by the patent office. Translation of the priority document into Czech may be requested by the patent office as well. Legalisation or notarization is not required; the Power of Attorney should be signed and dated. The original of PoA should be provided within 1-2 months from the filing of the Czech patent application. The substantive examination must be requested within 36 months from the filing of the patent application in the Czech Republic. Novelty grace period for patents in the Czech Republic constitutes six months prior to the filing date. Disclosure will not be taken into consideration if it occurred at an official or officially recognized international exhibition, or due to an evident abuse in relation to the inventor or his predecessor. Official fee for granting a patent in the Czech Republic must be paid after issuance of the decision to grant a patent within the term stipulated by the Patent Office (usually one month). The first maintenance fee must be paid within three months from the patent grant. Maintenance fees for a patent relating to following years must be paid no later than on the day, which the previous annual period expires in. For the foreigners, it is necessary to perform the patent prosecution in the Czech Republic through an agent, a registered Czech patent attorney. 2. 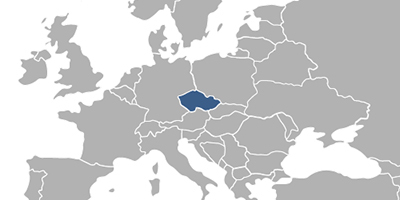 Patent protection in the Czech Republic may also be obtained via European Patent and its further validation in the Czech Republic. 3. Inventions may also be protected as Utility Models in the Czech Republic, which are subject to formal examination only, methods and microorganisms are not protectable. Maximum protection period of a utility model in the Czech Republic is ten years from the date of filing (a 4-year basic term, a further extension for two 3-year periods).